The techniques, ideas, and suggestions in this blog are not intended as a substitute for proper medical advice. 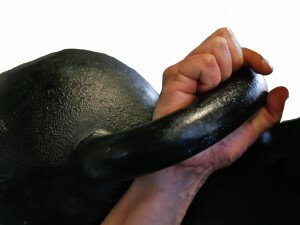 Kettlebells and other forms of exercise can be dangerous if performed without proper pre-exercise evaluation, competent instruction and personal supervision from an experienced kettlebell coach or other qualified strength professional. Any application of the techniques, ideas, and suggestions in this document are at the reader’s sole discretion and risk. The editors, author and or publishers of this blog are not liable or responsible to any person or entity for any special, incidental, or consequential damage caused or alleged to be caused directly or indirectly by the information contained within. Make sure you are in sound health. If you have not exercised in awhile or if you have structural issues, consult your physician before starting the program. You are responsible for your own health and safety! Make sure to have selected a kettlebell with the proper size for you. Refer to the chart in the “What Size Kettlebell Should I Start With” article for guidance. Make sure to have a good, solid kettlebell. Cheaper is NOT always better. For a reputable dealer click the kettlebell image at the end of this post. Remember, a program is only a set of guidelines to give your training structure. It is not a set of unbreakable sacred commandments so if something is not working for you, feel free to change it, I will not be offended. It is what it is! Some people will love the program, some won’t. I will not engage in lengthy discussions or change the program in the futile attempt to please everyone. If you do not like the program don’t follow it, that simple. Warm-up well! You should start breaking a sweat when you have warmed up properly. 5 minutes is appropriate. There are thousands of activities you can do for a warm-up and no specific activities are given in this program. Cool down properly and give your body the transition it needs. 5 to 10 minutes is more than sufficient. There are thousands of activities you can do to cool down and no specific activities are given in this program. Exercise numbers with no letters mean a stand alone exercise. For instance, in Week 1 Day 1, the 2-hand swing (exercise 2) is done by itself as recommended. Exercise numbers with letters mean a combination done one immediately after the other. For instance, Week 1 Day 1, exercises 5a and 5b means you do one set of 2 hand swings immediately followed by a set of push presses before resting for the suggested time. Under the column “Rec. Reps”, a number by itself indicates total number of reps. When the number is followed by (s) it means repetitions PER side. For instance, push presses at 8 (s) means 8 push presses per side for a total of 16 repetitions. Exercises or combinations are performed in number of sets OR time. For instance, Week 1 Day 1, exercise 2 calls for 5 sets of 10 reps with up to 30 seconds rest between sets. The exercise can be performed as prescribed or whatever can be done as long as 5 minutes are not exceeded. If you are done in 3 minutes, move on to the next exercise. If you have only done 3 sets and the 5 minutes are up, stop and move on to the next exercise. The workouts are designed to be between 30-35 minutes in length. Feel free to add more time at the end if you need more time to cool down. Stay calm and let go of frustration if you are having a hard time. It is all about having fun after all. All Clear and Ready? Good! Click Image Below for awesome kettlebells!